Old Man Hass is concerned by the near-catatonic behavior of his daughter, Grady. The young woman showed up at his doorstep a few days earlier, refused to admit that anything was wrong, and has been wandering around the farm, not talking and barely eating. The Nameless Detective thinks the old farmer would have been better off calling a psychiatrist-but he's at least willing to ask a few questions. As Nameless begins to investigate, he discovers that Grady's affliction is more than just a broken heart: she has been the victim of brutal psychological torture. 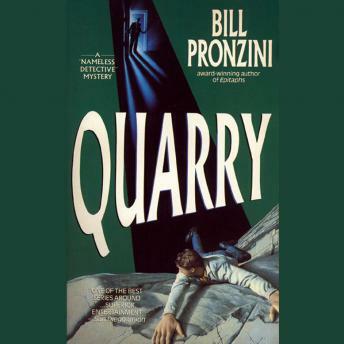 In order to save her, he's not only going to have to find her tormentor, he's going to have to call on his own darkest impulses and turn the quarry into the victim.